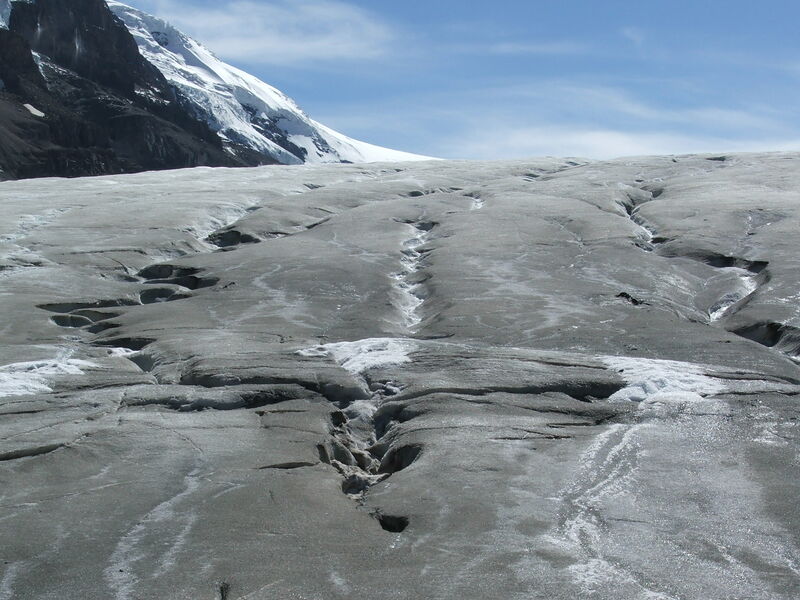 This week’s Friday Field Foto is from the toe of the Athabasca Glacier in the Canadian Rockies. We were on our way to see these rocks and only had enough time to do the short walk to the front of the glacier from the parking lot. 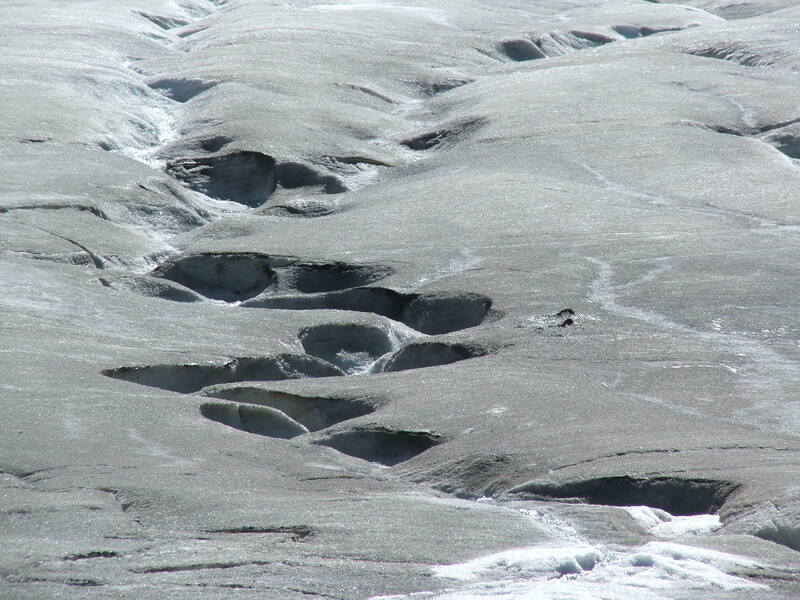 I just thought it was cool how this small meltwater channels organized themselves into sinuous patterns. Here’s a view zoomed out a bit. I don’t study glaciers … if you do, please feel free to comment below. In the long (ongoing) struggle to explain the origins of stream meandering, the realization that water-on-water, i.e. pure water on glacial surfaces, formed meanders ended one line of thought–that sediment must be necessary. Steve … yeah, sinuous channels are everywhere (e.g., liquid methane channels on Titan!). In a very oversimplified way — I’ve always kind of thought of the process as analogous to bedform creation — once it starts, the morphology promotes further development. In the case of bedforms, there are tiny ‘imperfections’ on a nearly flat bed from which bedforms grow … seems to be similar in sinuous channels … subtle heterogeneities create a deflection in the pathway, setting up helical flow, and it goes on from there.